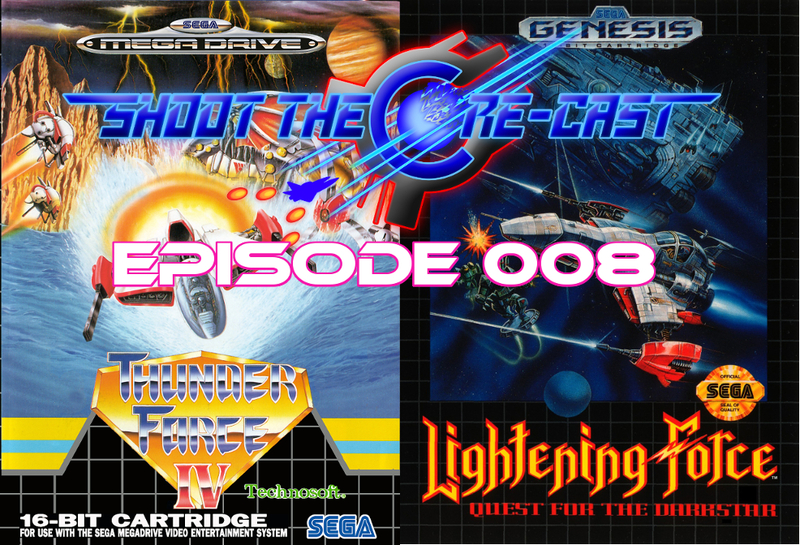 This is Episode 008 of Shoot the Core-cast! This time around, MetalFRO and Addicted discuss, at length, the 16-bit powerhouse shmup Thunder Force IV, aka Lightening Force! Does MetalFRO's favorite shooter of all time still hold up? What are the differences between the different versions? And what's with the "lightening" anyway? All this and more, in store for you when you listen!